Developed by Wood Partners, this new development will be a major part of the revitalization of Memorial Drive in Reynoldstown. The project is anchored by the beautiful vintage dairy plant built in 1945 which has been turned it into a multipurpose community in the heart of Atlanta, GA. The developed likes to say that they have “reinvented the urban experience with spaces that celebrate you.” With high-end studio, one, and two bedroom apartments complete with quality finishes like quartz countertops, stylish subway tile details, and stainless-steel appliances, the amenities are as unexpected as the project’s origins. 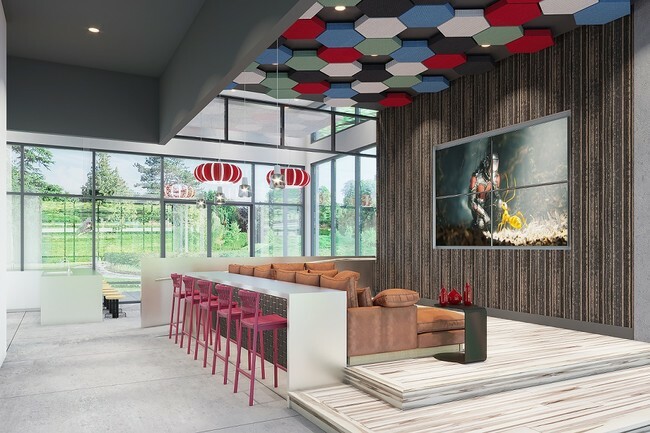 Completing this unique project is a selection of one-of-a-kind art works and custom murals all designed to complement the project, the lifestyle of the residents and to add visual delight and character.